EARLY BIRD REGISTRATION ENDS MIDNIGHT, APRIL 1ST! 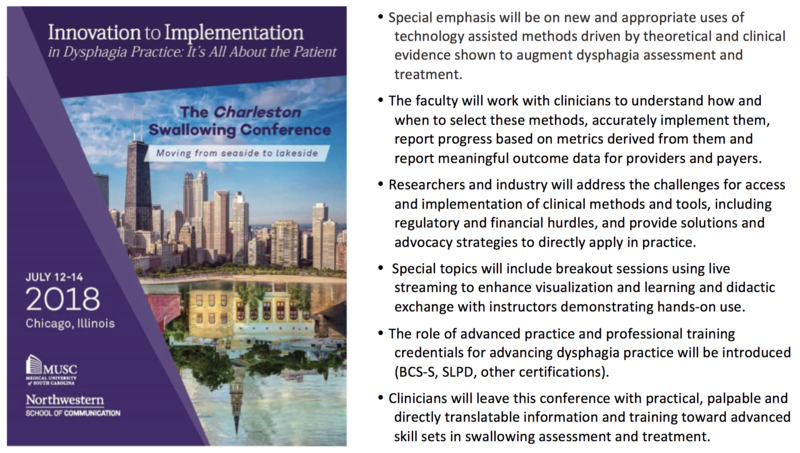 Historically the largest clinical swallowing conference in the US, The Charleston Swallowing Conference is a multidisciplinary conference designed for practicing clinicians across all patient care settings and ages. 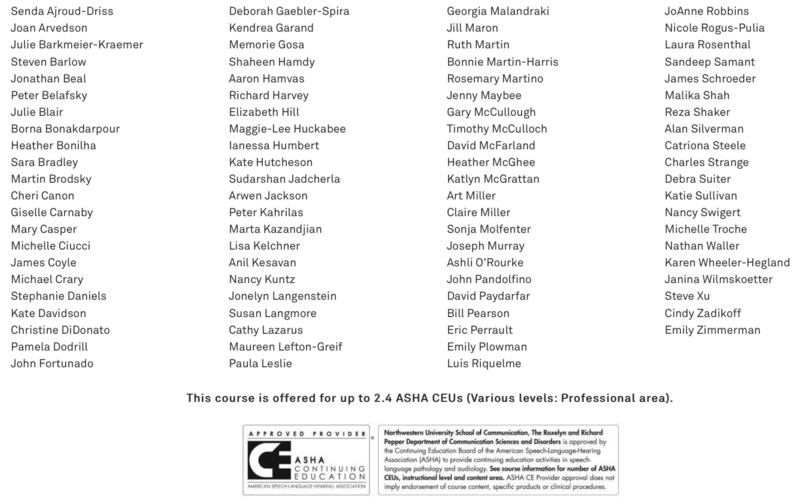 More than 80 renowned dysphagia experts will present. Last held in 2013, this conference strategically occurs only when there is sufficiently novel and relevant research, clinical, and professional information that warrants rapid translation into patient-centered care. Join us for this one-of-a-kind learning event.